GOABC applauds the efforts of former FLNRO Parliamentary Secretary Mike Morris for his report, Getting the Balance Right: Improving Wildlife Habitat Management in British Columbia. The findings in the “Morris Report” are similar to the findings in the Auditor General’s report, Managing the Cumulative Effects of Natural Resource Development and the recent Forest Practice Board’s report. It comes as no surprise to those who work or recreate in the backcountry that accelerated forest harvesting practices are having a negative impact on wildlife populations. 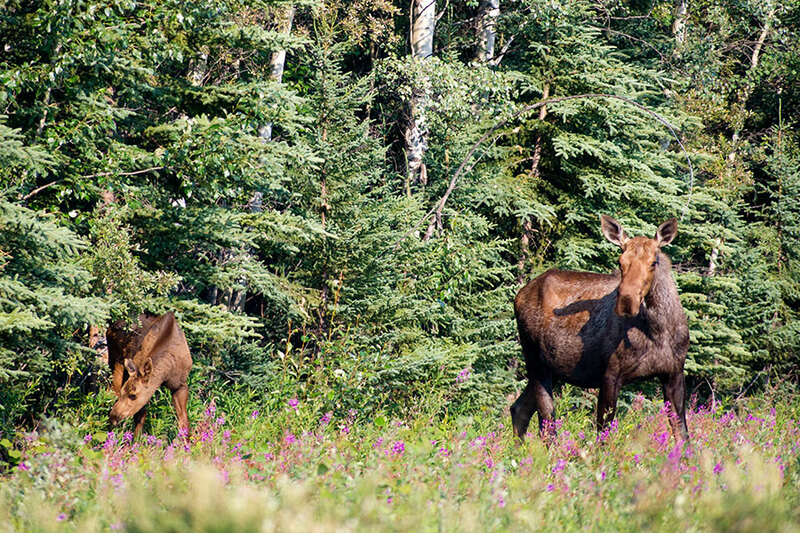 The populations of ungulates are decreasing in many areas of the province because of the pine beetle salvage logging. The degradation of wildlife habitat is the primary factor but there are other associated impacts from excess logging that include: high road density; increased access for hunters; improved efficiency of predators; loss of critical timber needed for thermal interception; and, loss of critical vegetation that moose graze upon. There are many great recommendations in this report including establishing a value for wildlife. The advice to “develop a wildlife management program that recognizes the intrinsic and extrinsic value of all provincial wildlife” will help statutory decision makers understand the trade-offs when making resource authorizations. We all expect the annual allowable cut to decrease but we also need to better understand the consequences to wildlife of the cumulative effects. This report highlights the need to raise the profile of wildlife in resource development decisions. GOABC encourages the Minister of FLNRO to accept this strategic advice. Click here to view a pdf version of the report. For more information please contact Scott Ellis at ellis@goabc.org or 604-541-6332.